While pallet racks are generally built to last and reliable for years so long as they’re properly taken care of, there’s always a little maintenance that goes into owning pallet racks. For example, a lot of pallet rack owners experience a strange ‘sliding’ on some older racks. 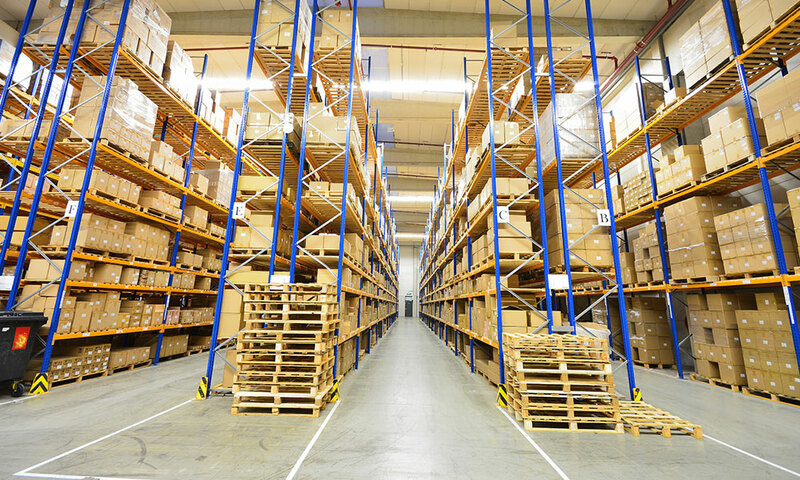 Sometimes a pallet rack upright may seem a little bent out of shape, or maybe you can’t get a shelf back in place on the frame. SOLUTION: If your crossbeam won’t go back into place after being removed it may be due to either the crossbeam itself being damaged or the one nearest to it being damaged. Remove the nearest crossbeam to make sure that also hasn’t been damaged, and then check all the retaining pins on each crossbeam to make sure they’re securely fastened and undamaged. Loose retaining pins can lead to crossbeams carrying too much weight and sagging or getting damaged, rendering them unusable—and unsafe. SOLUTION: Too much weight or improper anchoring can lead to upright frames beginning to fall out of place and becoming a safety hazard. Inspect all in-use uprights for physical damage, make sure they’re bolted to the floor as safely as possible, and review all manufacturer’s suggested weight limits to ensure they’re being used as safely as possible. If the frames are too bent, you may need to replace them to ensure they don’t become a falling hazard. SOLUTION: Even if the upright is securely fastened (as suggested in the previous tip) you may find yourself with unaligned slots or unable to replace your crossbeams. This may mean the uprights are bent further up the frame away from the floor, causing the whole pallet rack to sit at an improper angle. If this is the case, remove all heavy loads from the rack and use it for non-racked storage until it can be safely removed and replaced, as bent racks are a major safety hazard and should not be used when discovered.